A colonist from Europe, Queen Anne’s Lace is a familiar sight in old fields and along roadsides and can be found throughout Nantucket. Another name for this plant is “wild carrot”, because our garden carrots were bred from this species, which has tough white roots. The large flat flower heads, called umbels, actually contain tons of small individual flowers. Often, one of the flowers near the center is a dark red or almost black color, said to be a speck of blood dropped from Queen Anne’s finger while she was using a needle to make the lacy flowers. In the fall, and long into the winter, you can find the curled flower heads of Queen Anne’s lace acting as baskets that gradually release the seeds over time. 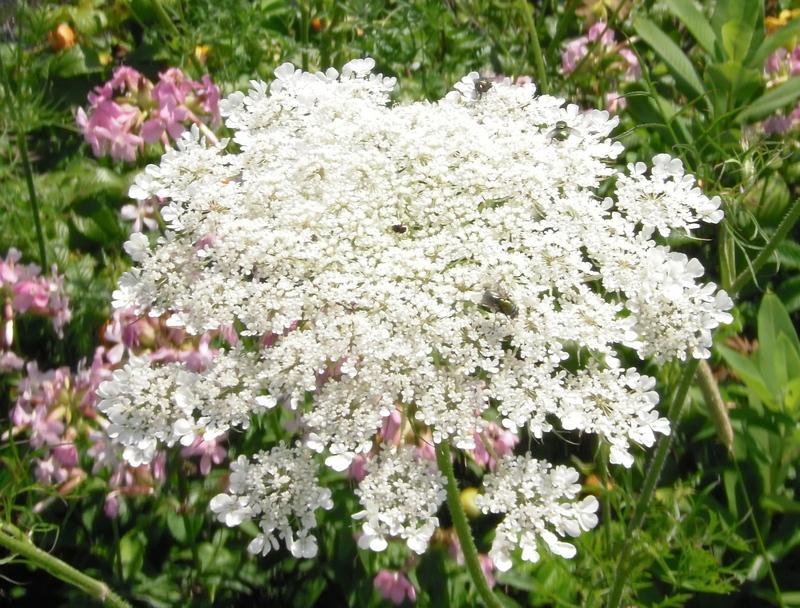 This summer, the Nantucket Biodiversity Initiative is helping fund research on island to document where Queen Anne’s Lace occurs on island and examine how this plant might be influencing pollination of a native species it closely resembles – the Toothed White-top Aster. You can learn more about this research by graduate student Adam Ramsey in November at the NBI Biennial Biodiversity Research Conference on island. 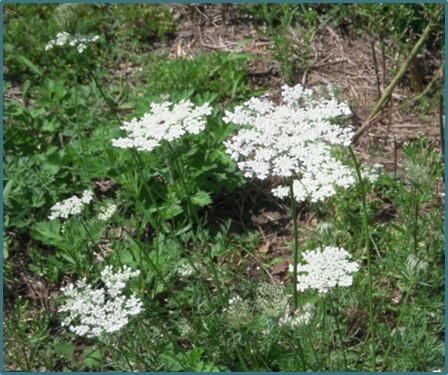 This entry was posted in What's New In Nature and tagged Daucus carota, Nantucket, Nantucket Biodiversity Initiative, Nantucket Conservation Foundation, Queen Anne's Lace, what's new in nature. Bookmark the permalink.